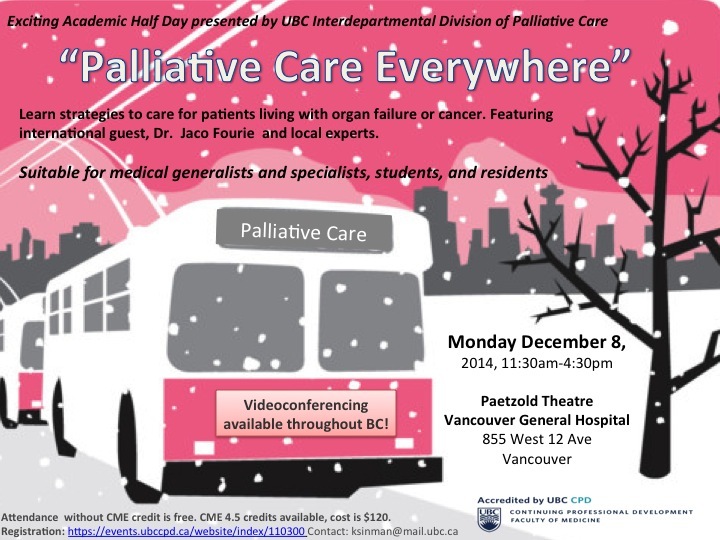 The Division of Palliative Care hosted an academic half-day on December 8th, 2014. Please click here to view video footage from the event. Please click here to view the 2nd video footage from the event. Please click here to view the learning objectives for this event. 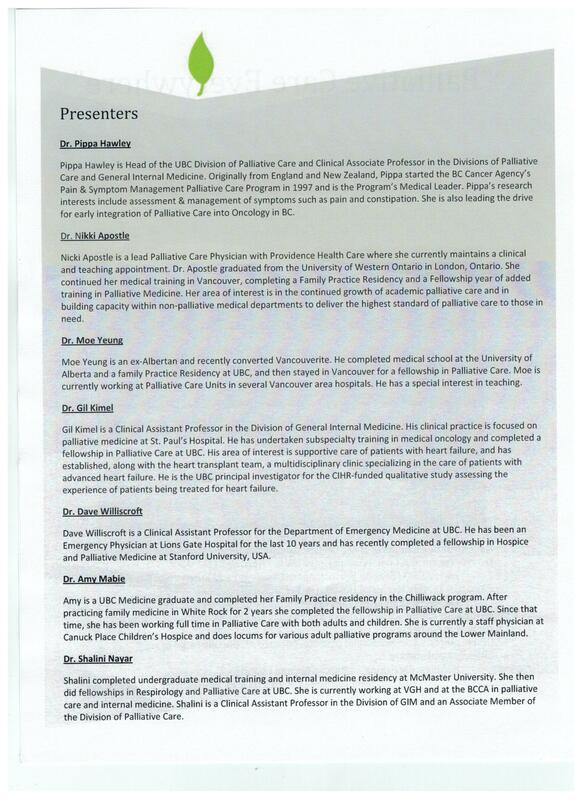 Please click here to view the presenter biographies. 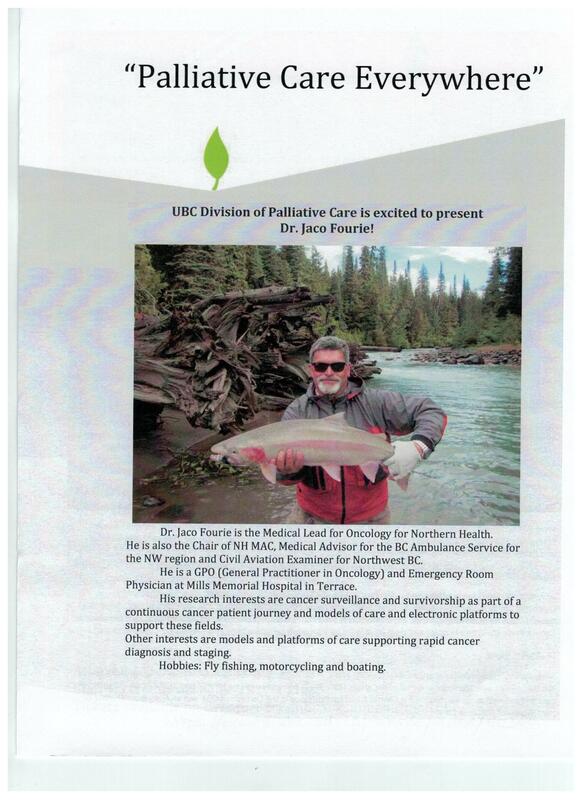 Please click here to view the biography of Dr Jaco Fourie.